There are the ﻿various﻿ seasonal holidays that everyone celebrates and in addition, Columbia and Howard County has a range of special events as well as those in nearby Baltimore and Washington, DC. Make them even more special by arriving in a limousine. 1. 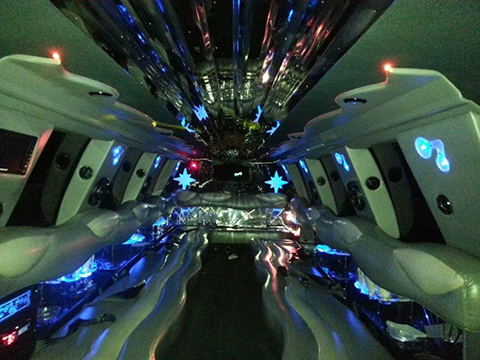 New Year’s - A perfect time for a limo so you don't need to worry about driving home after celebrating the New Year. 2. Valentine's Day - What more perfect time than Valentine's Day to take your soulmate someplace special in a luxurious limo. 3. Mother's Day & Father's Day - Send a message how much you love your parents and appreciate everything they have done by taking them out in a limousine. 4. Memorial Day - Have everyone together in a limo to go and pay tribute to a friend or relative. Or, join together and go in a limousine to the many parties and celebrations that weekend. 5. 4th of July - Start the celebration in the limousine and then enjoy the fireworks. Your chauffeur will deal with the crowds going home or take you to a new place to continue celebrating. 6. Halloween - Why not plan your costume around a theme that involves a lime and wow everyone by arriving in style. 7. Thanksgiving - A time for family and togetherness. Give the cooks a break and take the entire crew out to dinner in a single stretch limo or party bus. 8. The Christmas Holidays (or Hannukah) - With so many parties and so much holiday cheer, a limo can make a lot of sense. 9. The Navy’s annual croquet match - St. John’s College. Join the festivities of this prestigious annual event and arrive in style and luxury by hiring a top of the line limo from Limo Columbia. Enjoy the fun of the day where mouth watering picnics and period costume are the order of the day. 10. Maryland Renaissance Festival (RennFest) The biggest Rennaissance Festival on the East Coast runs end of August through October. Watch jousting, archery, sword fighting. Try your own hand at archery and axe throwing, have a beer at the tavern, enjoy the shows, the juggling, the music. An event you will never forget. 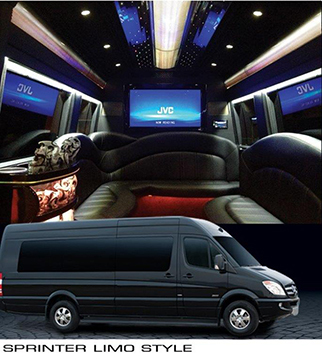 Special event limo for special events! Enjoy the great sound system to rock out or listen to classical or country, your choice. Plus there is a CD/DVD player and flat screen TV. The fibre optic lighting sets the mood and the soft leather seats are amazingly comfortable.Don't forget the bar area stocked with ice and stemware to get the celebration started. We believe in good service. Your chauffeur will be experienced and professionally dressed. They will take care of the best way to get you to your destination and will be on time or early. If you have been to a party, a beer or wine festival, there is no need to worry about driving home.